She Said "Yes!" - Leber Jeweler Inc.
Charlie proposed. Sharlet said “yes.” Now they are engaged! 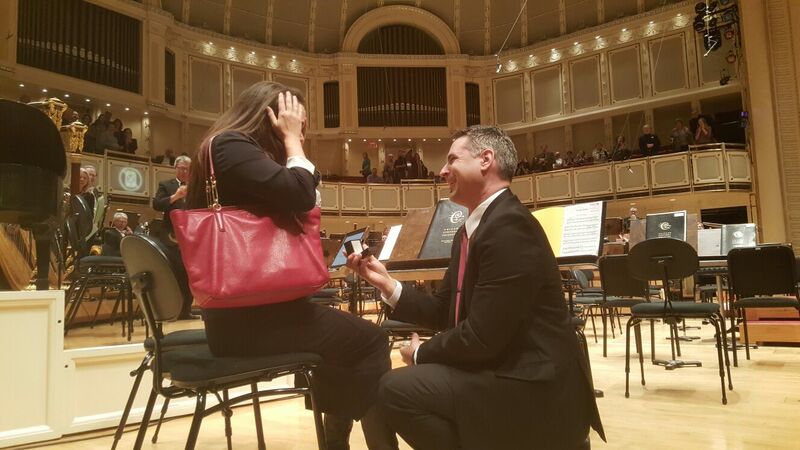 All this happened during the intermission of a Chicago Symphony Orchestra concert. It must have been the music, no? Maybe the Earthwise Jewelry ring helped a little?